SINGAPORE’s three banks are ahead of their Asean peers in environmental, social and governance (ESG) business practices, but it’s far from adequate – and they need to step up their act urgently, said the World Wildlife Fund (WWF). China Credit Debt-Service Ratio: Healthy But For How Much Longer? Despite all of the country’s problems, China has proved its doubters wrong during the past few years. Even though several prominent Wall Street analysts and hedge fund managers have speculated that the country is on the verge of a financial crisis, policymakers have successfully managed the country away from any severe crisis. To increase safety in one of the world’s busiest waterways, Singapore, Indonesia and Malaysia have signed an agreement to more accurately map the Straits of Malacca and waters around the Lion City. 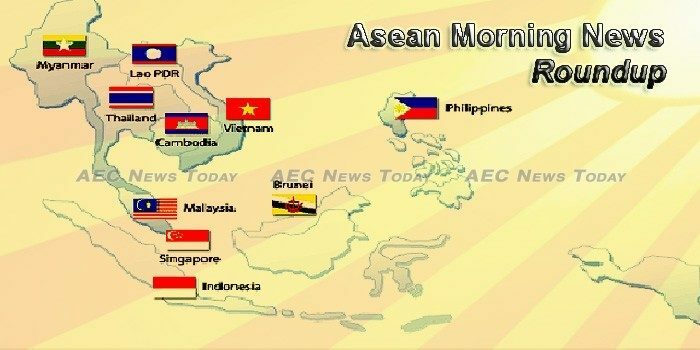 Wilfrido Villacorta, the former deputy secretary-general of the Association is Southeast Asian Nations (ASEAN), has welcomed Turkey’s engagement with ASEAN, stressing that the aspirations of Turkey and ASEAN converge on many issues. Most Southeast Asian stock markets edged higher on Tuesday drawing confidence from overnight records on Wall Street, with the Philippine and Indonesian indexes hitting fresh closing highs. ASEAN members have different standards and laws in dealing with the LGBT community, which includes lesbian, gay, bisexual and transgender people. Vietnam, the Philippines and Thailand are among the most liberal when it comes to LGBT issues. Most Asian economies have yet to confront the impact of demographic headwinds on growth of the labor force and the economy—and none more so than Singapore, where the problem is expected to be particularly pronounced. Travellers across Southeast Asia may now book a Grab ride to the airport via the Singapore Airlines (SIA) mobile app, the two companies announced on Tuesday (Oct 3). The World Bank said Tuesday cities in the Philippines and other Asian countries need better infrastructure, jobs and services. The global organic cosmetics market was valued at nearly US$ 40 billion in 2015, and by 2020, it is expected to reach US$ 66 billion, increasing at a CAGR of over 10%. In Future Market Insights’ market report titled, “Automotive Aftermarket: ASEAN Industry Analysis and Opportunity Assessment, 2016-2026”, poor road infrastructure and extended vehicle life have been identified as profitable factors for the growth of the automotive aftermarket in ASEAN. Cambodian Prime Minister Hun Sen said construction of a new airport and overhaul of other existing airports may be in the nation’s future. It reached an agreement with China’s Yunnan Investment Holding Ltd. to manage a new airport in Siem Reap under a 55-year build-operator-transfer concession. Construction of the new airport will begin in 2018. As the Cambodian government and its allied media continue to ramp up rhetoric against the United States, a government spokesperson in Phnom Penh has urged American investors to remain confident in doing business in the country. Commercial lenders have said the central bank’s requirement that banks and microfinance institutions (MFIs) increase the share of local currency in their loan portfolio to at least 10 percent by the end of 2019 could prove challenging to implement as their biggest clients exhibit a strong preference for deposits and loans in foreign currencies. Grab Indonesia is expanding its services to 75 cities across Indonesia including Banda Aceh and Jayapura – claiming to be the first mobile platform available from Aceh to Papua, the company said in a statement today. The price of copper moved higher on Tuesday on news of further tension between Indonesia and Freeport-McMoran, the US miner that operates the giant Grasberg mine in the province of Papua. Miners operating in Indonesia will have to pay a share of their after-tax profits to both the central and local governments under new tax rules under consideration for next year, according to documents outlining the proposal reviewed by Reuters. Champassak provincial authorities have confirmed that a Chinese company is keen to develop the US$10 billion Khonphapheng Special Economic Zone (SEZ) in southern Laos. Investment through public-private partnerships (PPP) has the potential to fill the infrastructure gap in developing Asia including Laos, the Asian Development Bank (ADB) has said. Hongsa Power Company, operator of the 1,878-mw Hongsa Thermal power Plant, has granted 40 scholarships worth 120 million to local students in three districts of Hongsa, Ngeun and Xienghone in Xayaboury Province. Malaysia’s ministry of international trade and industry (Miti) is targeting the country’s employment rate within the digital economy space to surpass the global average by 2025. The government is formulating new mission for Malaysia that will reflect the people’s aspiration in line with the National Transformation 2050 (TN50) vision. To improve safety in one of the busiest waterways in the world, Singapore, Indonesia and Malaysia have signed an agreement to continue efforts to map the Straits of Malacca and Singapore. Suspicion and anger directed at Rakhine State’s Muslims appears to be continuing to intensify. A group of 20 foreign diplomats who visited Myanmar’s Rakhine state, where half a million ethnic Rohingya Muslims fled recent violence, have urged the government to allow access by humanitarian groups and by a United Nations fact-finding mission to investigate allegations of human rights violations. Mayor Dr Ye Lwin has blamed the poor design and quality in the construction of the Mandalay Convention Centre (MCC), according to a post on his Facebook page last week. Card fraud remains one of the biggest concerns faced by cardholders and banking institutions today. As Filipinos become more dependent on banking for many of their financial needs—cash safety, shopping transactions, bill payments and the like—scammers are presented with more opportunities to carry out malicious activities targeting cards. The Philippines unit of AirAsia Bhd is seeking to raise up to $250 million via an initial public offering (IPO) in mid-2018 to fund its expansion programme, its chief executive said on Tuesday. COAL CONSUMPTION is expected to grow an average of 15% each year until the end of the government’s term, driven by robust infrastructure spending, an industry official said. Speaking at the launch of the Greyform building, an integrated construction and pre-fabrication hub (ICPH) by Straits Construction Group, Finance Minister Heng Swee Keat said that productivity remains a challenge for most construction industries worldwide. THE government is addressing barriers to get local companies to adopt technologies such as data analytics and artificial intelligence (AI), said Minister for Communications and Information Yaacob Ibrahim in Parliament on Tuesday. Thailand expects 260,000 Chinese tourists during the Golden Week holidays this week, up 35 percent from the same period last year, the Tourism and Sports Ministry said on Tuesday. The Joint Standing Committee on Commerce, Industry and Banking (JSCCIB) has raised its 2017 forecast for export growth to 6.5-7.5% after witnessing strong gains the first eight months of the year. Thailand’s leading business groups raised economic forecasts on Tuesday, citing stronger-than-expected exports and signs of recovery in private consumption and investment. Companies in Việt Nam who wish to employ foreign employees can now apply for work permits online. Government on Tuesday sought investment from Vietnam into the country’s auto sector that offers a number of incentives for new investors. Rumours about the merger have been afloat since LienVietPostBank’s former chairman, Duong Cong Minh, became Sacombank’s chairman and Him Lam Co’s divestment from LienVietPostBank.